Your Zipcard is an access card that unlocks your Zipcar. Remember, bring your Zipcard with you for every reservation. Apply online in minutes. Expect one day to verify your driver license. If there’s a reason for delay, we’ll email you. Once approved, we’ll mail you your Zipcard in 3-7 days. Activate your Zipcard, then you can book and drive immediately. Learn how to check the status of your application. How do I activate my Zipcard? Once you receive your Zipcard in the mail, activate it online here to begin reserving. Once you receive and activate your Zipcard, you can book Zipcars immediately on our website or through our app. 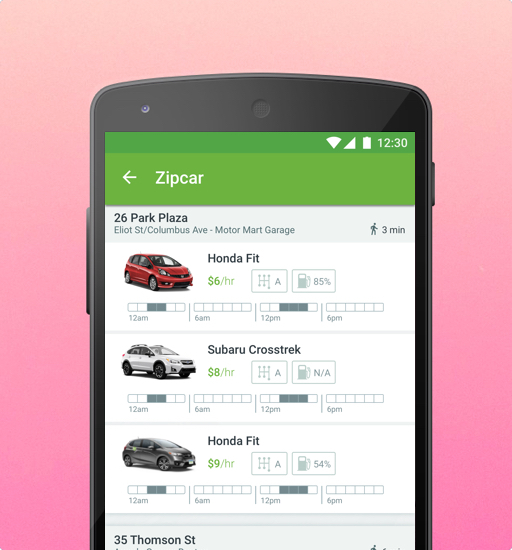 Book Zipcar trips on the go with our app. 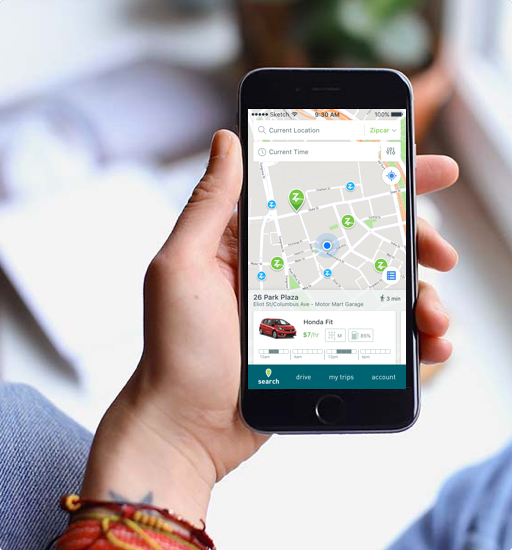 Reserve your Zipcar, timeframe and pick-up location either on our website or on our free iPhone® or Android™ app. How do I cancel or modify a reservation? Cancel or change your reservation up to 30 minutes after booking at no charge via the mobile app or online under My Account > My Trips. For rules on cancelling or changing without charge before your reservation starts, learn more here. Where do I return my Zipcar? Your Zipcar must be returned to the same spot where you picked it up. In select cities, you can book one way trips and drop-off your Zipcar at a different location. To drive, tap your Zipcard to the reader on the windshield to lock and unlock at the start and end of each reservation. Remember, the keys to the car should always stay in the car. How do I find my Zipcar? We send details about your Zipcar and location information in a confirmation email. You can also find location details under My Trips in the mobile app. What if I get into an accident or need roadside assistance? 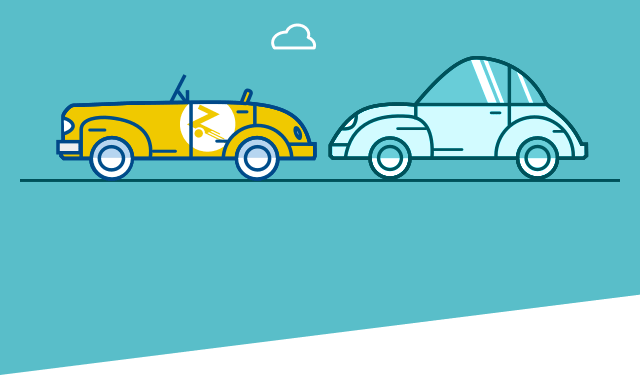 Your Zipcar membership includes insurance (learn more about insurance coverage here) and roadside assistance 24 hours a day, 365 days a year. If you need help while on the road, call 1-866-4ZIPCAR and we will take care of the details. Where is the gas card located? You can find the gas card in the visor over the driver’s seat of every Zipcar. You’ll need your mileage and Zipcard number when you go to the pump. Remember to always return cars with at least ¼ tank of gas to avoid fees. Who can drive my Zipcar? Only active Zipcar members are allowed to drive Zipcars. Other Zipcar members can also drive your Zipcar with your permission. Learn more. Watch these short videos to learn the ropes. You'll be zipping like a pro in no time.